The water tanker Hayat S suffered engine failure at the shipping way off Darica in Istanbul, Turkey. The vessel lost propulsion power after blackout and blocked the traffic in the area, posing navigational hazard for the nearby vessels. The accident was reported to the local authorities and at the scene of the troubled vessel was dispatched salvage tug Kurtarma 6. The water tanker Hayat S was towed to the port and berthed safely. 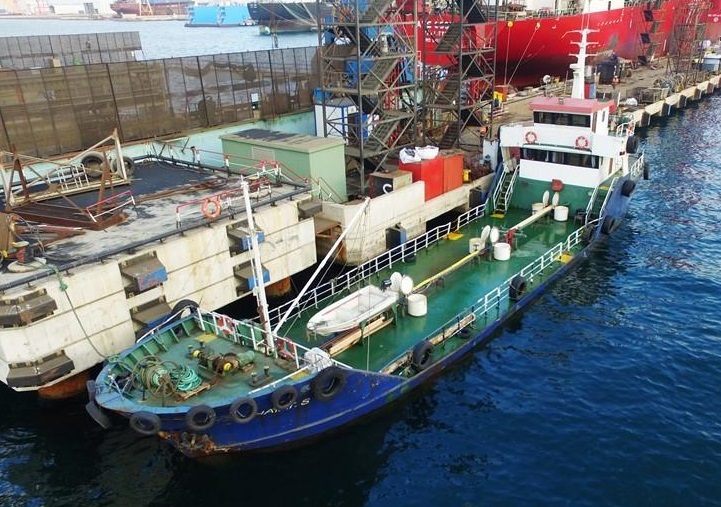 There were no damages and injuries during the incident, but local authorities detained the tanker and ordered safety inspection and special survey. The traffic at the shipping way was hampered for several hours during salvage operations and towing, but not closed. There is no report about congestion and delays in port operations. The local authorities started investigation for the root cause of the accident. The water tanker Hayat S was on route under ballast from Yalova Kirazli to Ekihisar Demir Bolgesi. There was no oil leak and water pollution. The tanker will resume the voyage after passing safety inspection from the local authorities. The vessel Hayat S is Turkish Hazard D coastal tanker operating under the flag of Turkey. The vessel has overall length of 32.00 m, moulded beam of 7.00m and maximum draft of 2.50 m.